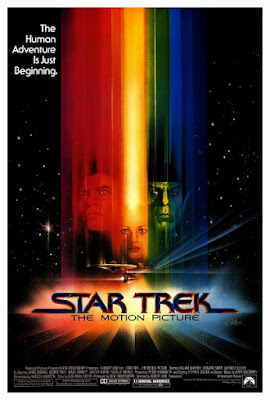 The podcast ventures where it never has before: the Star Trek franchise, as Bob Chipman and Tim spend long periods staring at their viewscreen and watching Star Trek: The Motion Picture from 1979. The resulting discussion touches on the soporific reputation of the movie, the treatment of religion in the Star Trek series, and why you shouldn't replace the chemistry of a good cast with special effects. Warning: Contains explicit language and spoilers but alas... no Corinne (the movie put her to sleep). Did you, like Spock, succeed in finding the answers you were searching for? Have a favorite episode of the original Star Trek? Do you need to have your opinion heard... badly? Leave a comment below and keep the conversation going. The long, lingering model shots are actually my favorite bits of the movie. Wouldn't lose them for the world, pacing bedamned. It's a shame the rest didn't live up to it as, yeah, it's a massively dull slog despite the solid premise. I've read Alan Dean Foster's original treatment and the Phase II pilot script version, both of which are included in the massive Phase II making of book. The treatment is sharp and steady, as the story was timed for an hour. The pilot draft doubled the length and that's where the bloating kicked in. And yeah, the finished film has all the handprints of the cooks who were too many despite their interest being too little. The novelization is a fascinating mess, as it's credited to being written by Roddenberry, but was actually done by his secretary (and latest affair) Susan Sackett under his supervision. It's sloppy as hell, but is packed with any random idea that came to his head, including a diatribe on marriage politics of the future after we learn the woman in the transporter accident was one of Kirk's ex wives. I remember reading the novelization as a kid and enjoying it, even recognizing at the time some of the things Roddenberry/Sackett did to fill in the narrative cracks and continuity issues, including that paragraph designed to quell some of the Kirk/Spock slash fiction! The decision to create that ex-wife character, Lori Ciana, for the novelization seemed strange as it makes Kirk's lack of lingering reaction in the movie to the death of a former lover seem really chilly. J.M. Dillard retroactively made her a decent character in the Lost Years novels. And I don't hate Star Trek V. I don't think I can outright hate anything Star Trek. At the very least, that movie gave us a futuristic way to carry around our marshmallows.